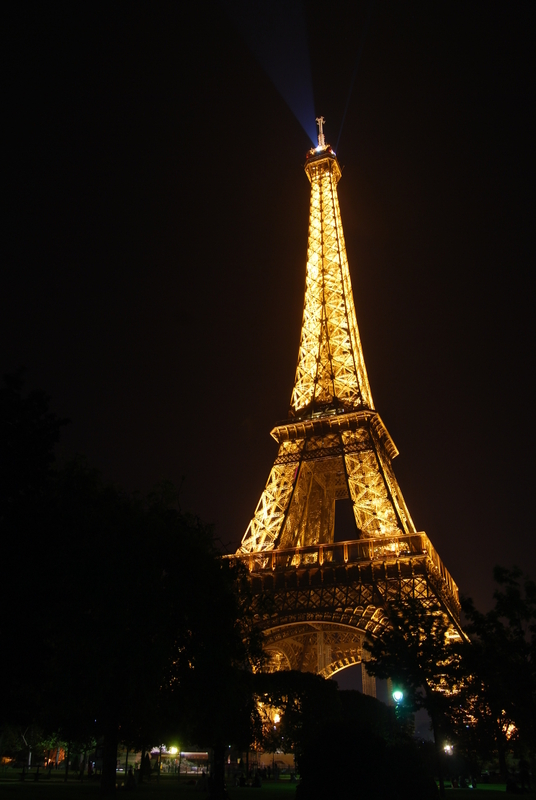 Paris – The Tourist Way | Aren't We All Just Tourists Here? Since I was enjoying Paris with my now ex-girlfriend, I decided to abandon my usual way of exploring a city and take the tourist route. That being said, it was highly enjoyable being a tourist in Paris. 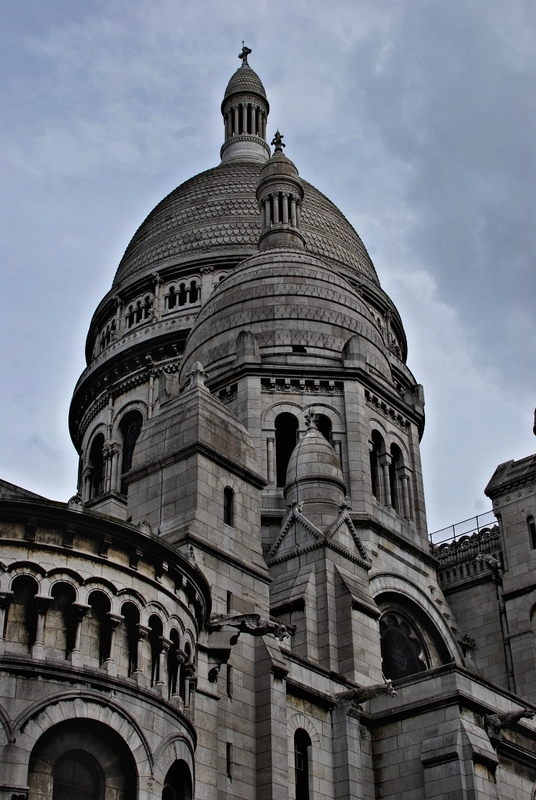 The first afternoon, after getting settled into the hotel, we headed out on a short walk to the Sacré-Cœur. This is a very impressive cathedral. 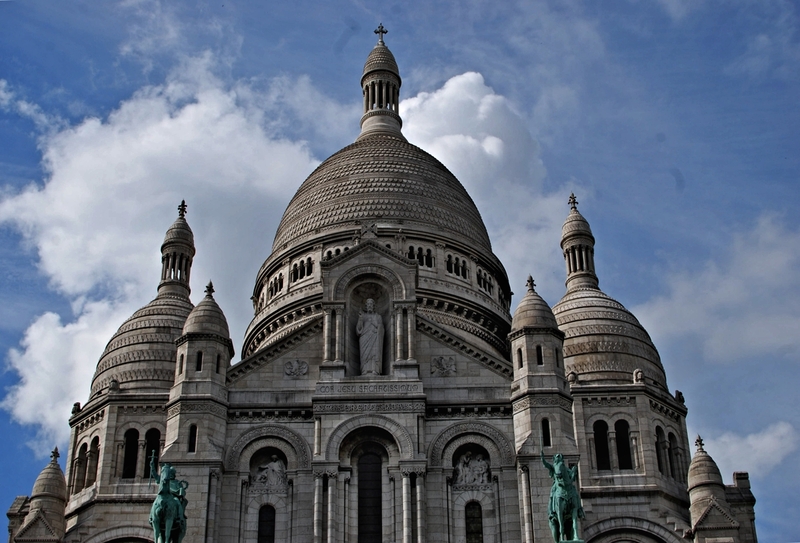 It is located on the butte of Montmartre and is the highest point in the city. From the steps you have an amazing view of Paris spread out below. Day 2,after a short metro ride to the center, we boarded one of the double decker Hop On – Hop Off Bus Tours. At 25.50 euros, it is a very economical way to see Paris without wearing out your feet. Just hop off at the sights you want to see… take photos … enjoy a coffee… and hop on the next bus. Of course, the first thing to see is the Eiffel Tower. It is a must and, probably the most recognized structure in the world. Iconic and majestic, it stands at the head of the Champ de Mars and soars an amazing 324 meters (1,063 feet) into the air. 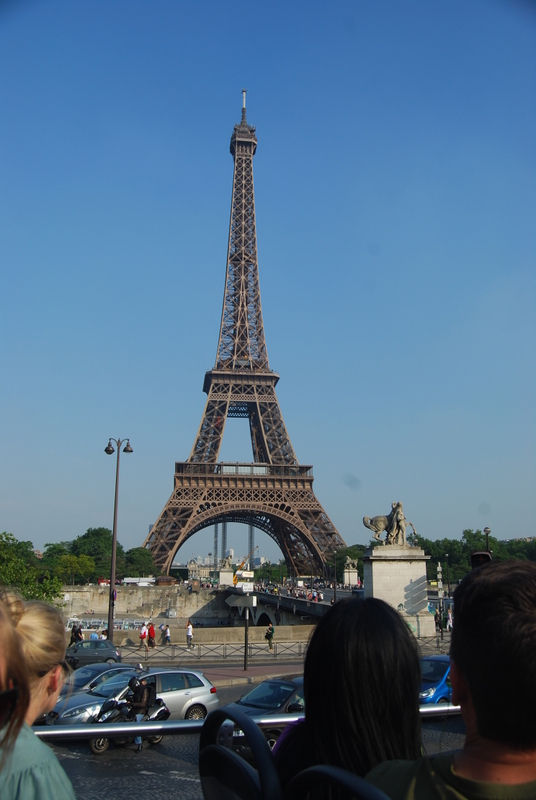 It was named after Gustave Eiffel whose company designed and built it in 1889 as the entrance to the 1889 World’s Fair. Eiffel, himself, actually had very little to do with the design of the tower. The designers of the Eiffel Tower were Maurice Koechlin and Émile Nouguier, two senior engineers who worked for the Compagnie des Etablissements Eiffel. And the rest is history…. The tower has 3 levels available to the public and the 3rd level is the highest point accessible to the public in Europe. 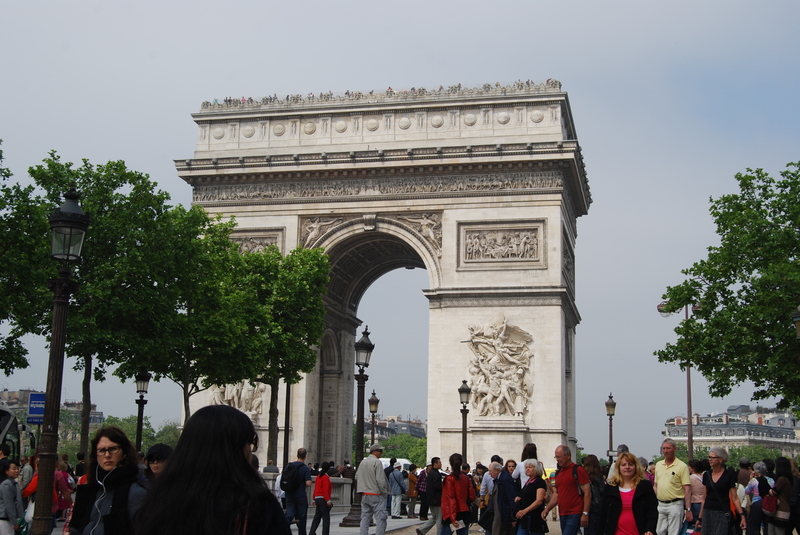 After a couple of hours of wandering and photos, we boarded the bus for the next stop .. Arc de Triomphe . It stands in the center of the Place Charles de Gaulle at the western end of the Champs-Élysées. The monument stands 50 metres high, 45 meters wide and 22 meters deep. The Arc de Triomphe is so large that on August 7, 1919, Charles Godefroy successfully flew his biplane through it. The Arc was originally commissioned in 1806 but was not finished until around 1834. Beneath the vaults lies the Tomb of the Unknown Soldier from WWI. There is a museum at the top in the “attic” with models and details of the construction and after you can climb a few steps to the top and see some wonderful panoramic views of Paris. Next … Off at the Louvre . 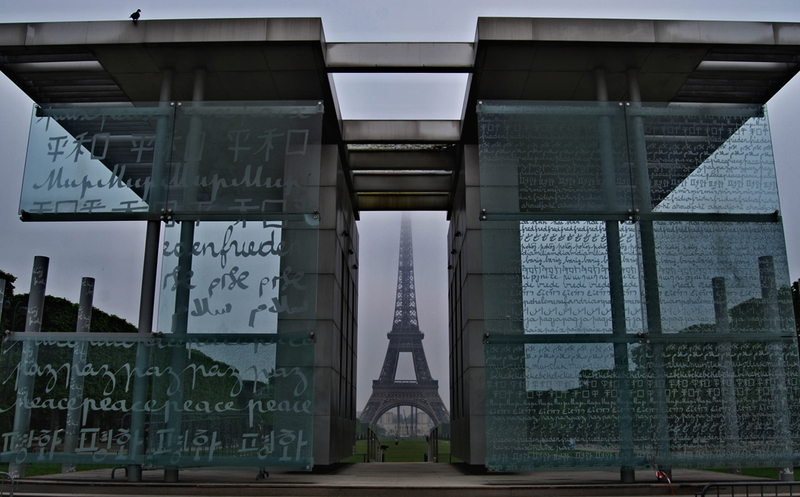 This entry was posted in Photography, Travel and tagged Cathedral, Champ de Mars, Eiffel Tower, France, Paris, Photography, Travel, Travel and Tourism by Steven. Bookmark the permalink. Paris is such a beautiful city, definitely a city worth more than one visit! Great photos! Thanks.. I love Paris.. off to Prague Thursday..